Living in a winter city, we have to deal with snow and slippery roads. One way we do that is by spreading sand, gravel and salt on our roads and parking lots. Great for keeping us safe while driving in winter, not so pretty when spring arrives and that snow melts. Your streets and parking lots are dirty and need some attention. 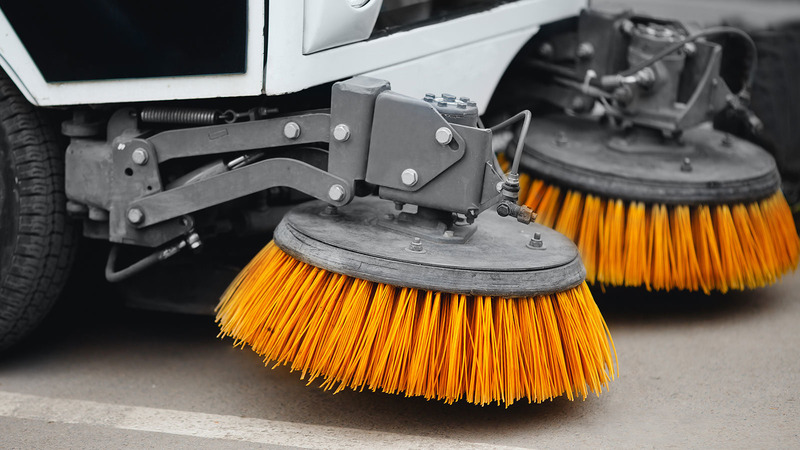 What are the benefits of street/parking lot sweeping services from Rockland? Gravel and sand can make streets and parking lots unsafe in spring and summer. It can cause a vehicle to skid and veer, possibly resulting in a collision. Vehicle oil, grease, debris and other pollutants can build up in the snow and on the pavement. Sweeping your streets and parking lots keep these contaminants out of storm drains, thereby, protecting our water. When streets and parking lots aren't cleaned in the spring there can be a lot of dust floating around in the air. This impacts the surrounding landscape, air quality and your health. 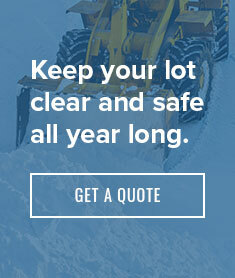 You keep a polished, clean look around your business by using our snow clearing and hauling service in the winter. Show you care about your image and the comfort of your customers in the summertime as well by cleaning your parking lot.